Joe Nguyen Took Me For A Ryde In His Tesla Model S, And All I Can Say Is This: WOW! 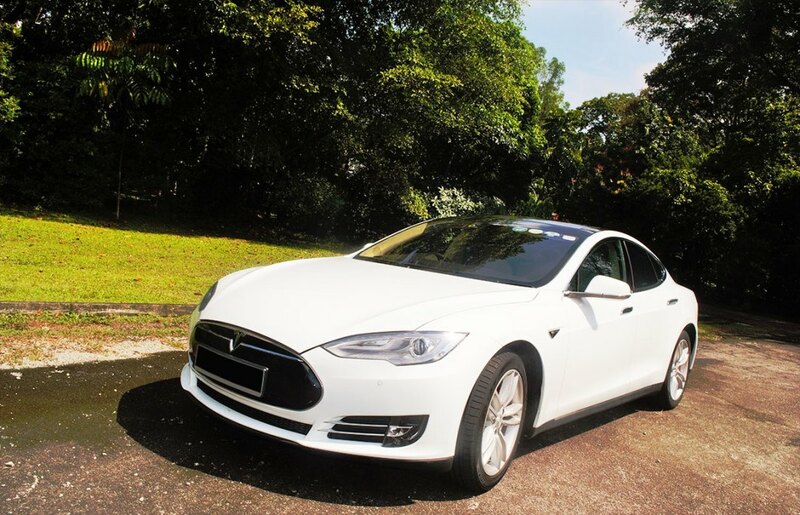 So it was all over the news, and everyone would have heard about it already – Electric car Tesla, was slapped with a $15,000 tax surcharge, making it the first tailpipe emission-free vehicle to be penalized in Singapore. The news had caught the attention of Elon Musk and while the Prime Minister is looking into the matter, I had the privilege to meet Mr. Joe Nguyen, 44, who paid up the S$15,000 fine and started driving his Tesla in Singapore last month. We met up for a nice chat over coffee on a Wednesday morning, and through our conversation, I was shocked to find out that he was fined for driving one of the greenest cars in the world! Joe also shared a lot of things about Tesla which I never knew before. Did you know that in a battery-powered electric vehicle, regenerative braking is the conversion of the vehicle’s kinetic energy into chemical energy stored in the battery? This energy can later be used to drive the vehicle. How cool is that! Regenerative braking recovers some energy that would otherwise have been wasted in the brakes. Note the green bars below? That represents how energy is recaptured in the battery where it can be used again. Did I also mention that everything can be controlled via the Tesla app? Honking the honk, flashing the lights, changing the temperature and more! Tesla could really be the future of all cars. Check out Joe showing me how spacious the front boot is! No engines, nothing? You got to be kidding me! And there you have it, our wefie! All in all – Wow, and what a way to mark my 300th carpool trip on RYDE!  Aren’t you looking forward to a RYDE on a Tesla car now? This article is contributed by Celeste Lee from Ryde.